Hey Stampers! 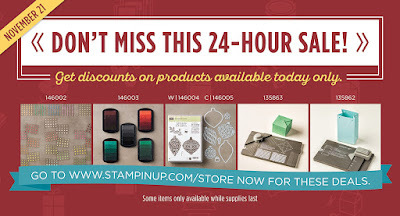 Do you know someone who loves Stampin' Up! products? Why not head on over to my store and shop from the Stampin' Up! Holiday Extravaganza! Now is a great time to get some new supplies and save money! Just click the shop with me button on the right sidebar to go to my store! Please note that some of the items are TIME SENSITIVE! Others are available all week! Click HERE to see the entire list of products on sale! Good evening stampers! While I was out shopping this weekend I came across the most adorable teeny tiny jars of Nutella. And when I say teeny tiny- I mean it! These little cuties don't even measure 2" tall! Now I personally am not a fan of Nutella ( I know, right? How is that even possible?) but I still couldn't resist the cuteness. I had to buy a few to create with. ....and it looks like I'll be going back for more! They turned out adorable! 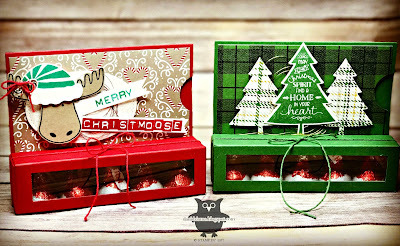 I know they will be a HUGE hit at my craft show coming up on December 3rd. The packaging for these little jars was a breeze to create. I used Clear Tiny Treat Boxes and then adhered a 3/4" strip of DSP around the center of the box . 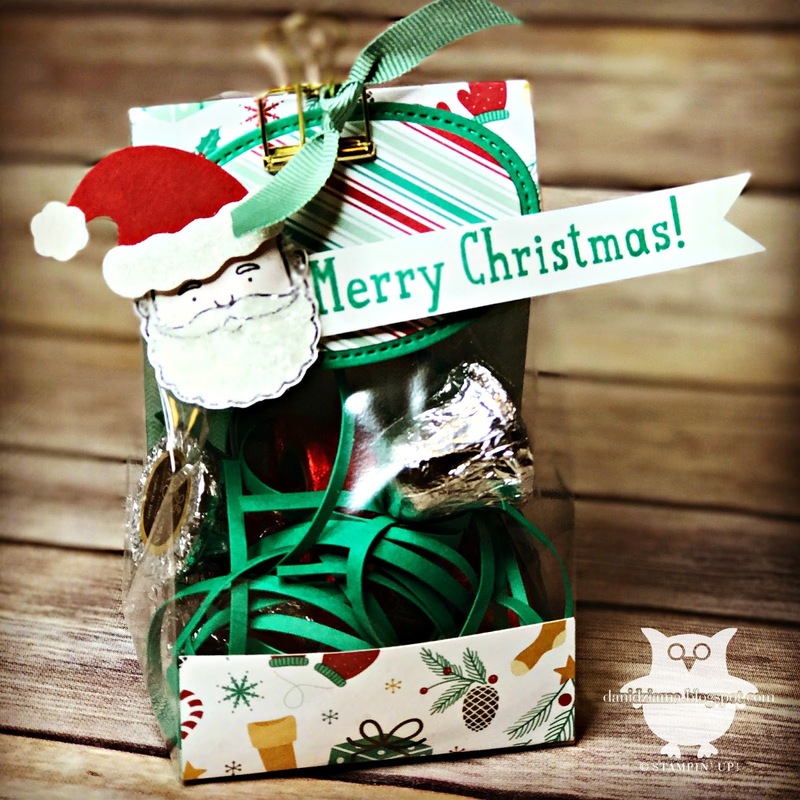 The spoon was tied onto the box using the 3/8" Silky Taffeta Ribbon Combo Pack. 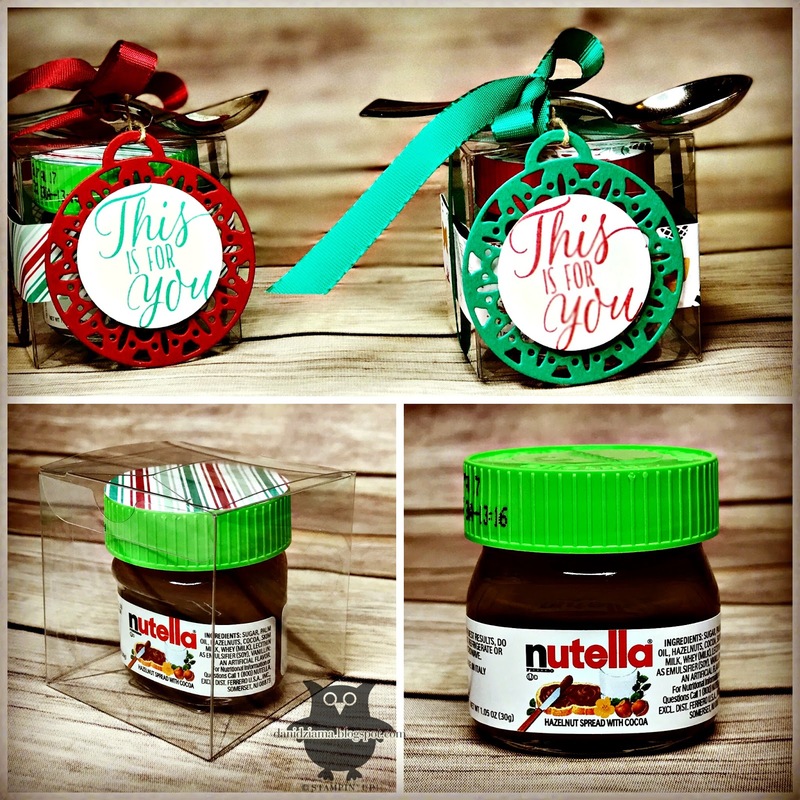 Since the Nutella jars are super tiny- they tend to move around quite a bit in the boxes. What I did to avoid this issue was to put 4 glue dots on the bottom of the Nutella jar. Then once I centered the jar in the box, I pushed up on the bottom of the box forcing it to adhere to the bottom of the jar. Worked like a charm! Good evening stampers! Tonight I have a sneak peek for you from the upcoming Occasions Catalog! Are you ready? It's a card created from the awesome new stamp set titled Lift Me Up. 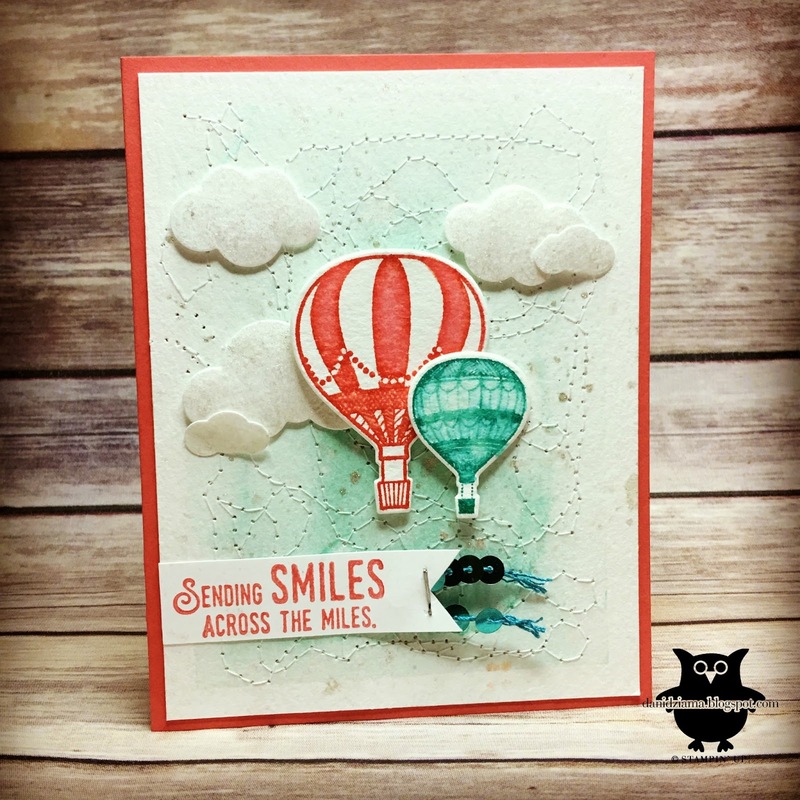 This set features a few gorgeous hot air balloons and a ton of awesome sentiments. I was so happy to learn that this set was part of the Product Purchase Premier for those demonstrators who attended OnStage. This is the first card that I created using this set but stay tuned! There will be a LOT more! I hope you enjoyed the sneak peek! I'll be back with more gorgeous projects soon! Hello stampers! Can you believe that Christmas is just around the corner? That's right! There are 39 days left until Christmas. Thirty-nine. I swear each year it seems to go quicker and quicker. Thankfully there's still plenty of time left to create some fabulous holiday cards. Since it's the holiday season, for me- craft show's are in full swing. Each year I do multiple shows. I make single cards, 3 dimensional items, gift card holders, home decor items, packages of cards and just about everything in between. Here is one of the cards I have created for my next show. My next show will be on December 3, 2016 at the Christmas in Ida: Festival & Parade of Lights. This event is HUGE with nearly 40,000 visitors. I will be located in the Prince of Peace Lutheran Church located at 1920 Lewis Ave. Ida, MI. This show runs from 9am-2pm. This is definitely a weekend you don't want to miss! The festival offers so much more than just crafts and vendors. There is a HUGE parade and even a country music performance by Little Texas. There is fun for all! My project tonight is card created with the Heartfelt Sympathy stamp set. I'm not really sure that I like how it came out. 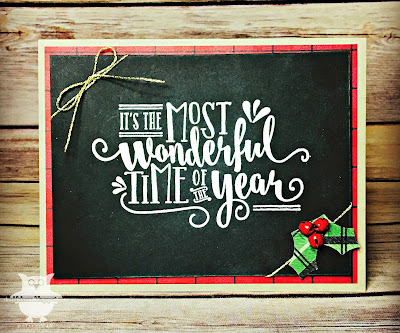 The sentiment was stamped in VersaMark and then heat embossed with White Stampin' Emboss Powder. I'm thinking now that the background would have looked better on a solid darker color instead of the watercolor wash. That way the sentiment would have shown up better. Lesson learned! Hello there stampers! This past weekend I had the pleasure of attending the Stampin' Up! OnStage Local even that was held in Secacus, NJ. At this event the new Occasions and Sale-A-Bration catalogs were unveiled, there was TONS of recognition and then THIS happened! Say WHAT? I still can't believe that this is real! 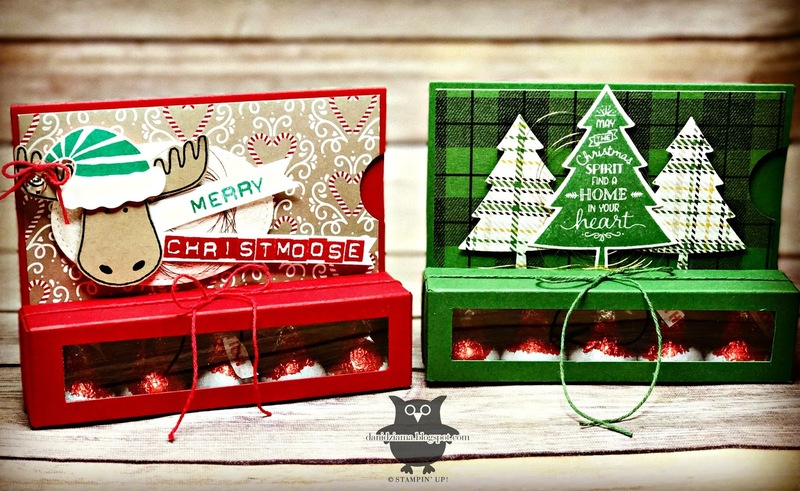 Becoming a member of the Stampin' Up! Artisan Design Team has always been a dream of mine. A dream I never really thought was possible...until now! I am humbled an honored to serve as a member of the 2017 Stampin' Up! Artisan Design Team. I cannot wait to share this next year with you all. It's going to be a GREAT year! You won't want to miss it! My card tonight offers a tiny sneak peek from the upcoming Occasions Catalog. 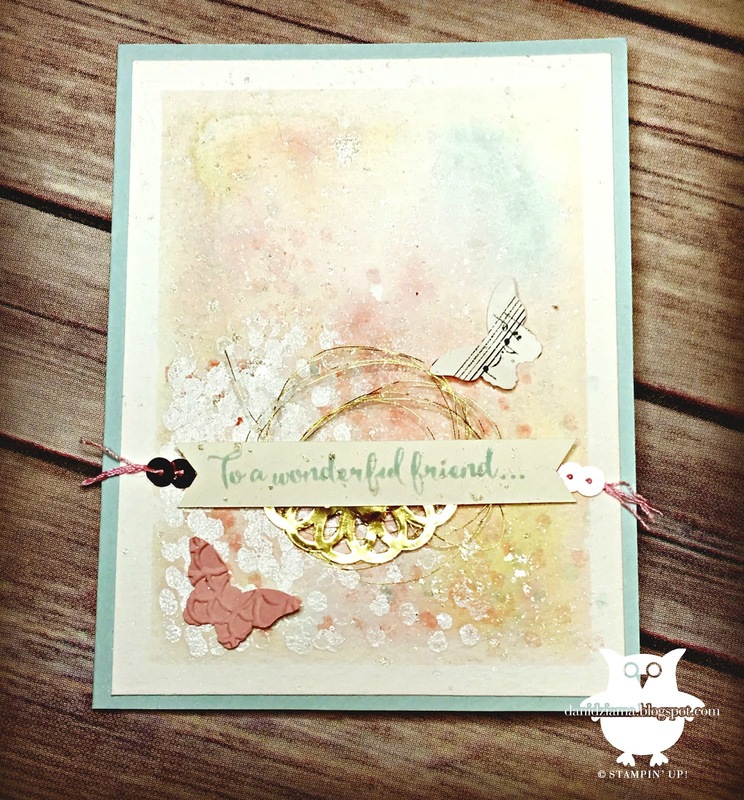 This card was created using a brand new stamp set called Dragonfly Dreams. I gotta say- this catalog is AMAZING!